Are you a lab product supplier whose sales team can benefit from meeting with nearly 325 active life science professionals with a total $428M in R&D expenditures? 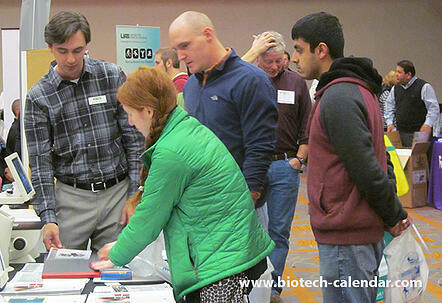 If so, join Biotechnology Calendar, Inc. in demonstrating your latest lab products and services to the well-funded research community located at the University of Alabama, Birmingham this November. - 2014 Life Science R&D Expenditures: $396,805,000. - The NIH awarded the University of Alabama $243,263,382 in life science research funding in 2015. - A $5.6M grant renewal was allocated to the School of Medicine, in conjunction with UC San Diego, in order to expand research into possible genetic markers for kidney failure over the next five years. 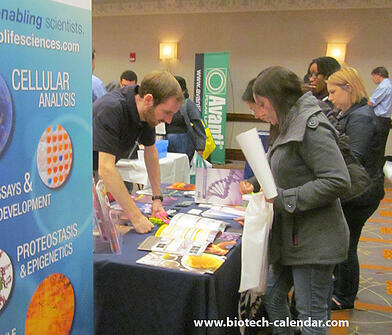 In total, this event attracts researchers from 31 different departments and 23 buildings across campus, which can greatly reduce the time you spend going from lab to lab. Register for this event by August 9, 2016 and you will receive the early registration discount of $250 off the standard purchase price.